High school students all over the world concentrate their young power and passion. And they compete in their techniques and feelings. 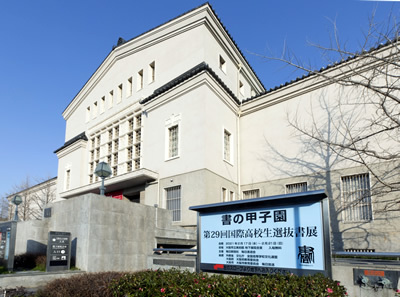 That's ｢The 27th International High School Shodo Exhibition｣ to be held next January ! The 26th in last year attracted 15,630students from 19 countries & areas. We invite your fresh calligraphic work. Let's enter your work for this exhibition !